We are all children of the earth. Long long ago, we tilled the earth and grew crops for food. Human habitats were small villages or clusters of houses, we lived in nature, we lived among birds and animals, and we lived as part of nature. Gradual changes in civilization and human progress led us away from nature. Towns and cities developed with growth in industrialization and our world became mechanical. Our lifestyle changed, our values changed and we drifted far apart from our people, our villages and our roots. Yet, somewhere within us we feel a bond with village life that has not severed permanently. We are haunted by our old way of life and going back to it once in a while is a rejuvenating, refreshing and fulfilling experience. Most people have permanently settled in cities and have sold off their lands. They have no connection with village life although they crave for it occasionally. Whenever you long for a brief change in life, we invite you to Morachi Chincholi. 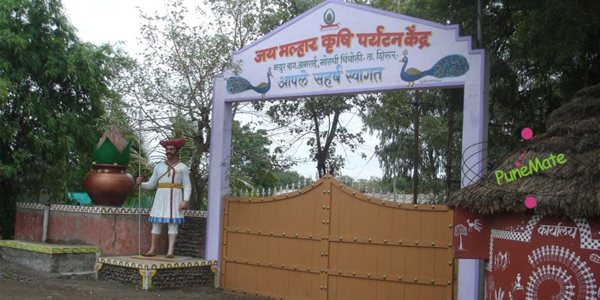 Morachi Chincholi is a small village situated near Pune-Ahmednagar highway about 55 km. from Pune. It can be reached easily from Pune or Nagar. Visitors from Mumbai can use the Talegaon – Pune shortcut via Chakan to reach Morachi Chincholi on Nagar road. 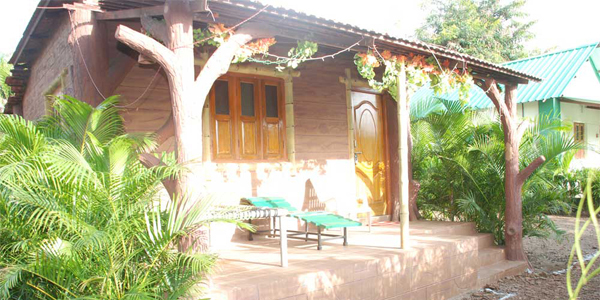 The place has a double advantage of being at a convenient location and distance from Pune and Mumbai, yet it is tucked away comfortably off the main highway and far from the din and crowd. The word ‘Mor” in Marathi means ‘peacock’. The actual name of the village is ‘Chincholi’. ‘Morachi Chincholi’ literally means ‘Chincholi of peacocks’ that is ‘village of peacocks. 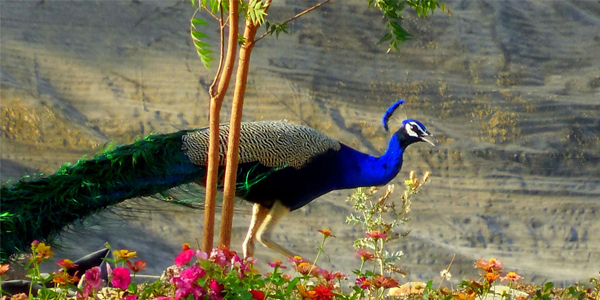 The village gets its name owing to a large number of peacocks that have made the place their home. They wander about fearlessly, they eat from your hands, and they screech at nights and dance in the monsoon, spreading their beautiful colourful plumes, stepping lightly and gracefully as they move back and forth. Indeed, it is a heavenly sight that you cannot miss!!! As people came to know about this wonderful heaven on earth, they began to visit the place for a change, to be amongst peacocks. The villagers attended the visitors, offered food and often lodgings for the night. It soon turned into a business opportunity for them and they established resorts of the kind urbanizes prefer. People from cities are used to a life of comfort and luxury. Accordingly, today you will find luxurious AC and non AC accommodation to suit your budget. The resort arranges for short trips to nearby temples and sight-seeing spots. When you are on holiday, you love to eat a variety of food. 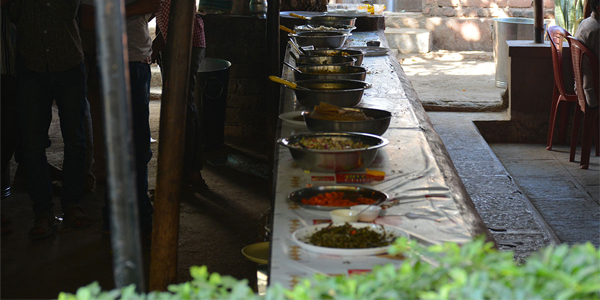 Muliti-cuisine restaurants provide tongue tickling food both vegetarian and non-vegetarian. While you are at Morachi Chincholi, you get the advantage of the old and the new. While you lie in comfort and luxury, you are in the center of a quiet and peaceful village. Most important, you are surrounded by peacocks. You are in the midst of nature.